Your garden is so pretty, Lee. 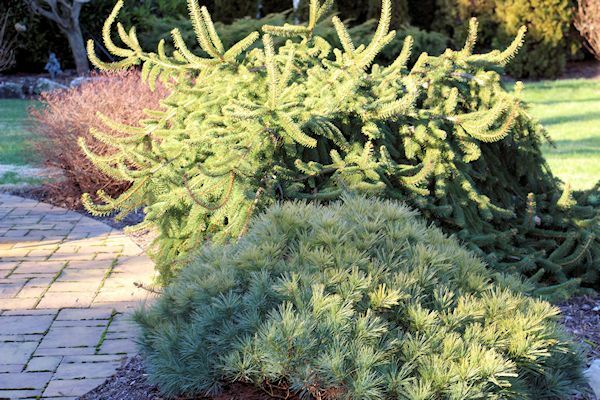 I love weeping cedar and starting to grow hyacinth. 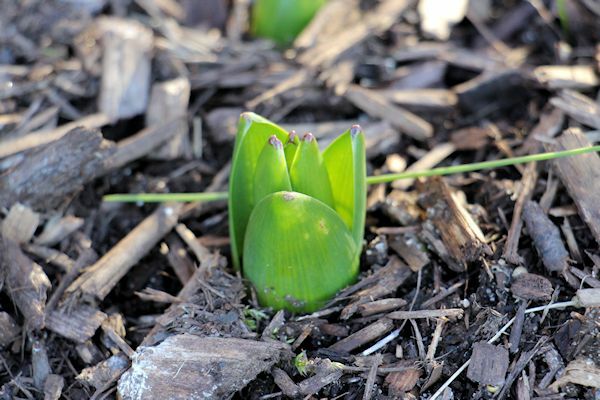 I have forced some hyacinths and hope to see their flowers soon. 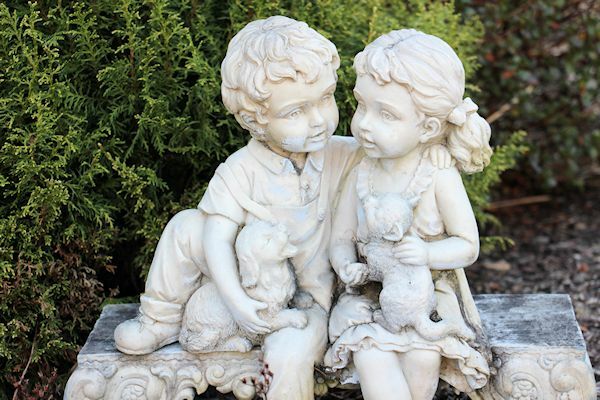 Garden statues decorate it and I liked this one of children, is lovely! Thank you Nadezda. I enjoyed your lovely orchids and roses. You have tempted me to force some blooms indoors during the winter months! Seems way too early for a Hyacinth to come up! I like your garden artwork, especially the children. It is way too early! They need to retreat back into mulch and wait a few months for spring to arrive! I noticed your Hellebores are blooming as well. It is also too early for them but they surely are beautiful! I very much enjoyed my walk through your garden, all lovely. Your Weeping Japanese Maple is stunning. Thank you so much Janice. I have had that tree for a long time. I enjoyed your beautiful roses blooming in January! Wonderful foliage and I do love the hellebore, as well as your "garden whimsy." Marvelous! Thank you Dorothy. I purchased the hellebores last winter and getting a lot of enjoyment from them. 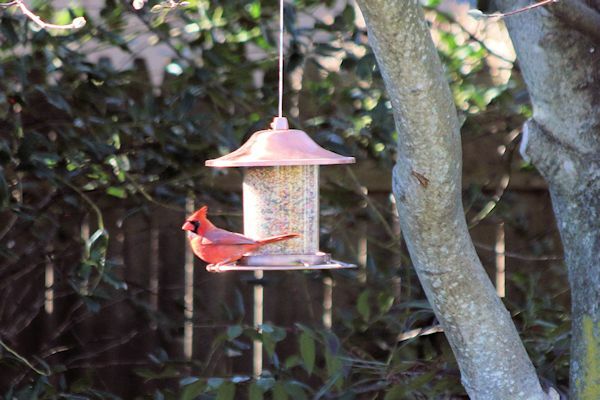 I loved my stroll through your garden in the middle of January with all the wonderful blooms you still have! What a lovely trip through your garden today. Thank you so much Vicki and welcome to Bloom Day! 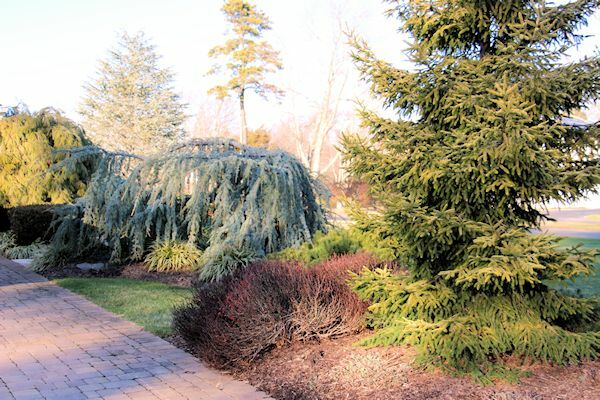 I agree, evergreens are so important in the winter garden, yours give such fantastic structure. Love your blue ball, that would keep me mesmerised for hours! Thank for visiting my garden and commenting Pauline. 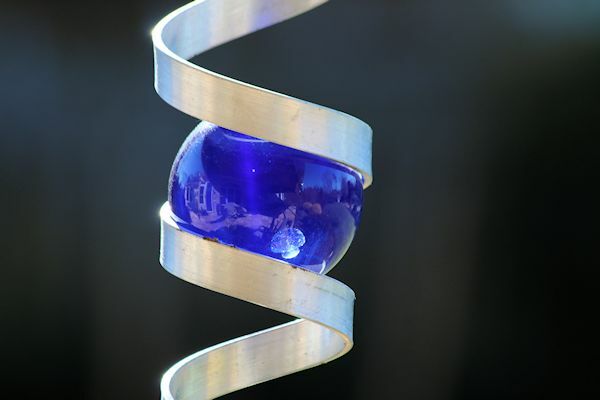 The spiral and blue ball have been fun to watch. The color and appearance of it change throughout the day as the sun hits it...keeps me amused while the garden is sleeping! This weather is certainly amazing in the Northeast. One day it's winter, and the next day it feels like March. Even I'm confused. 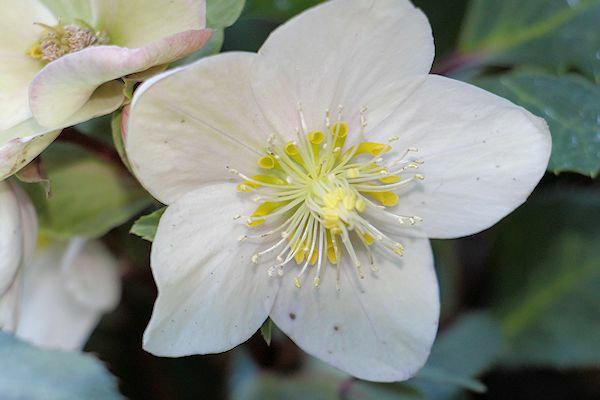 Your photos are beautiful and I especially like the Shooting Star Hellebore. That is gorgeous. And the Weeping Japanese Maple almost looks like a Harry Lauder Walking Stick. It must have been there for a long time. Have a great year, Lee. You can say that for sure Susan. 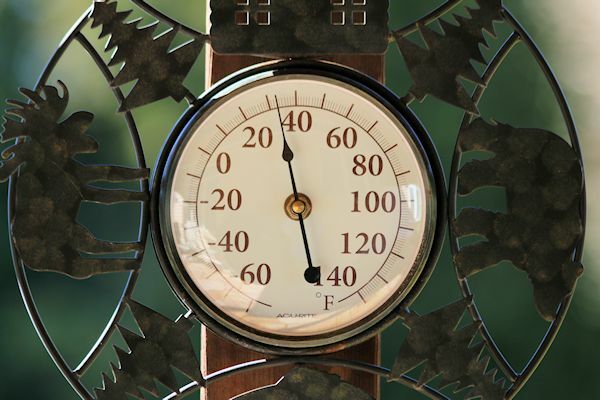 The temperatures went form the 60's down to the 20's this week with snow on the way...winter as struck! Thank you for visiting and commenting. Thanks for the trip through your garden. 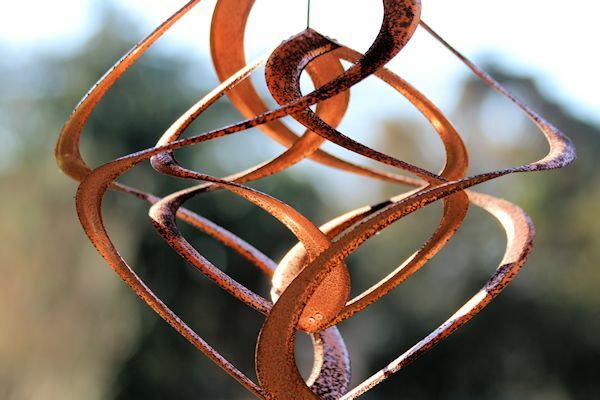 Your Japanese Maple is exquisite. I look forward to seeing it 'dressed with leaves' in the spring. I am glad you enjoyed it Denise. I too cannot wait to see the maple with leaves in spring now that winter has settled in! Loved the views Lee...that is a lovely thermometer and all that foliage. I also had hyacinths coming up....now we are covered in snow thankfully. That will keep the garden happy. Thank you so much for visiting Donna. I so enjoyed my winter walk through your lovely meadow. Have a great week! 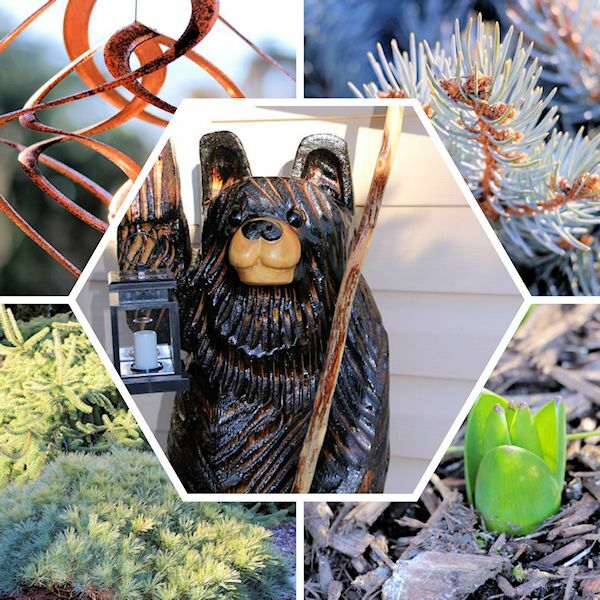 Your garden is beautiful, even in winter. It's amazing that you have anything blooming now, and your weeping Japanese maple is so interesting now. I was surprised to see the Hellebores blooming so early this year. They would usually be in bud during the winter so it was a good photo opportunity! 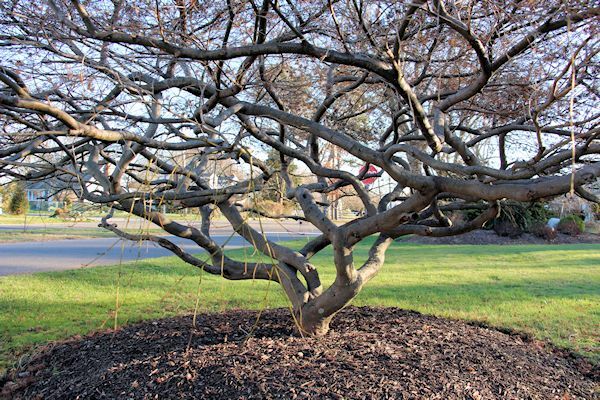 As far as the Japanese Maple...I strive to find the inner beauty of plants in the winter and look for structure. Thank you for stopping by and commenting. Your post is like a breath of fresh air Lee; a lovely walk through your garden while mine is buried in snow. 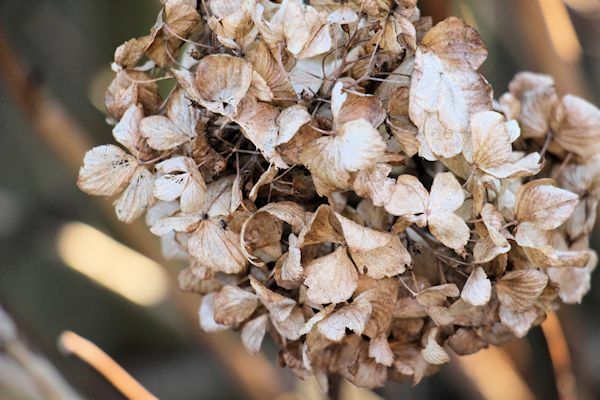 All my perennials left standing and the trees and shrubs are what I can enjoy today as they poke up through the drifts or are laden with fluffy white flakes. My plants must be confused though for over the holidays we had unseasonably mild temps in the 40s and down to 18F today. Thank you for your kind words Judith. It looks like my gardens may be under some snow by the weekend with a winter storm on the way for Saturday. Thank you for visiting and for hosting Mosaic Monday! Ha, I should have checked my hellebores for bloom, now they are under snow. Mine will be under snow by Saturday night...glad I got a picture! Hello Lee, and a belated Happy New Year! I love all your wonderful conifers. I suspect they are draped in garlands of snow by now! You've got that right Deb..under about two feet of snow here on Long Island. It's going to be a wonderland for sometime until this all melts...or more comes along! 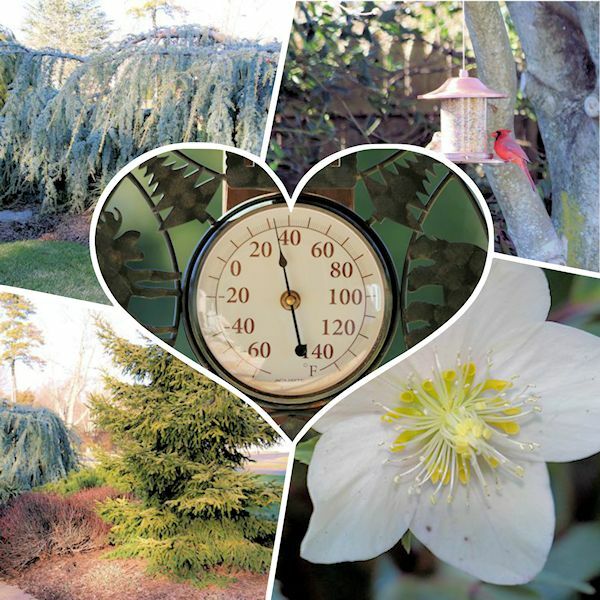 What a wonderful wintry mood in this garden, with lots of interesting things shown in each photo! Thanks for taking part in the Floral Friday Foto meme. Thank you for visiting and hosting Nick. Have a great week! 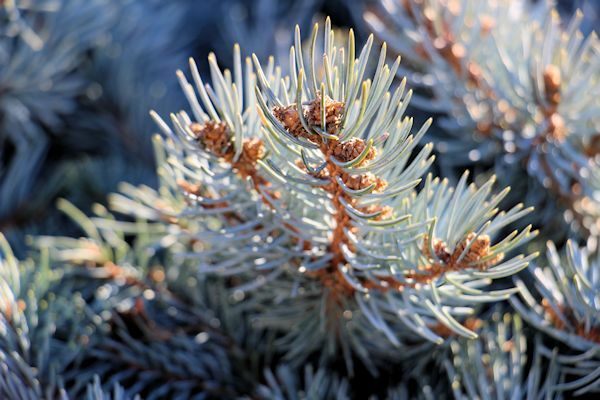 Evergreens really are the backbone of the winter garden. 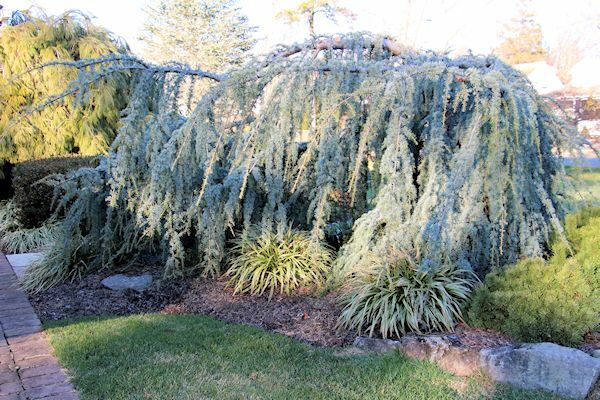 I love the Weeping Blue Atlas Cedar, it is almost like a large shaggy animal in the garden. Hellebores always amaze me with their winter blooms. They really are Hannah, and the Hellebores amaze me as well. They will bloom for months during the winter. Thanks for stopping by and leaving a note!